fourteen lessons on practicing the one-another commands of the New Testament. Some versions include a long index of Bible stories from the Old and New Testaments. 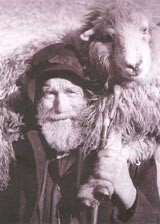 To view and download individual chapters of Shepherd's Storybook in English with pictures, click here. Shepherd's Storybook with pictures (.pdf document in a 3.5 mb .zip file). Shepherd's Storybook with pictures Part 1 (.doc document in a 4.8 mb .zip file). Shepherd's Storybook with pictures Part 2 (.doc document in a 3.1 mb .zip file). Shepherd's Storybook without pictures (.pdf document, 704 kb). Shepherd's Storybook without pictures (.pdf document in a 662 kb .zip file).